If you have curly hair, consider yourself lucky! There are plenty of people out there who do anything to get their hair to curl. Of course, we understand people with naturally curly hair want to change their hairstyle occasionally, too. There are plenty of myths out there about people with curly hair, so we are here to help you dispel those myths and focus on the facts instead. The truth is any hair is difficult to work with if you don’t have the right products. Two people with naturally curly hair may have to use two different products because their hair type is different. 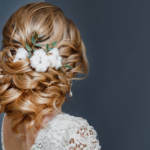 You may need to incorporate a sulfate free shampoo and conditioner into your hair care routine, while others may just need to use a leave in conditioner once every few days. Once you find the hair product that works best for you, you shouldn’t have any problems working with it. Curly hair may appear to be dried out more than other hair types, but it’s because coiled hair doesn’t produce as many oils. It also just means you need to use a hydrating shampoo to moisturize it as much as possible. Curly hair will still produce oils naturally, but it just needs a little more help than other hair types. A sulfate free shampoo and conditioner is also a great way to go to avoid dry hair. The rate at which your hair grows depends on your diet, physical health, mental health, your quality hair care routine and genetics. Notice that hair type wasn’t included in that list. 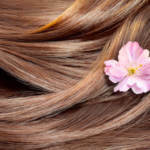 If you want your hair to grow longer and faster, you may have to change one or a few of the variables. We suggest starting with altering your hair care routine and trying different products to see how you can create healthier hair. 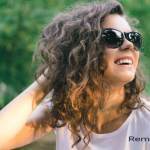 There are plenty different ways to style your curly hair. Now if you don’t use a sulfate free shampoo and conditioner and just let your curly hair become a tangled mess, then yes, your curly hair may look unprofessional. However, the general statement that all curly hair is unprofessional is simply not true. At Remysoft, we offer only the best hair products to our clients with curly hair so they can dispel all the negative myths about their hair. Be sure to contact us at any time to learn more about which products may be right for you. These Tips Will Help You Get Perfectly Straightened Hair!